It's 1932 when steam was still king and only four years have gone by since railroad traffic began passing under the Continental Divide through the Moffat Tunnel, completed in 1928, and even then the early railfan photographers are out chasing trains trying to get the perfect shots. The original train tracks climbed Rollins Pass with a series of switch back loops with a steep 4% grade and severe snow conditions making the route unprofitable. The tunnel saved about 154 miles and many hours/days on the trip from Denver to Salt Lake City and is still in use today. 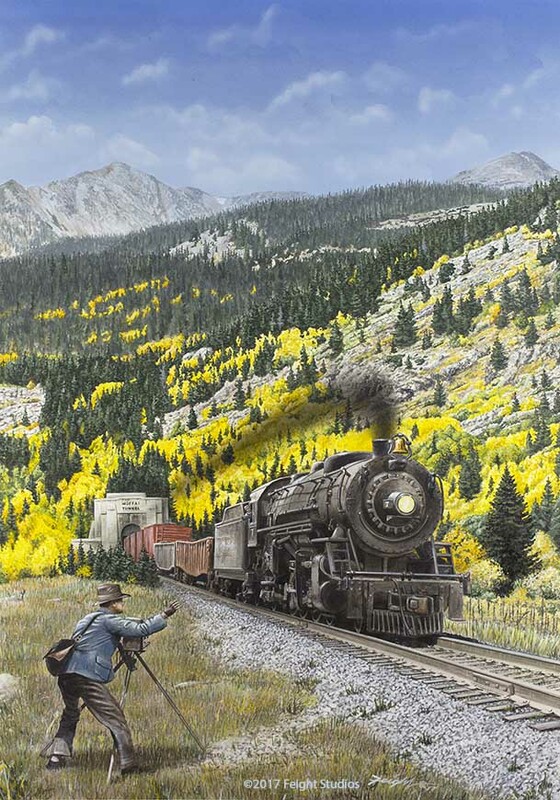 A related, modern version of this print has recently been published called "2018 Railfan."